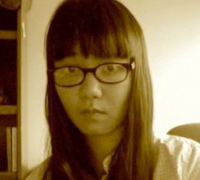 Lily Hoang is the author of The Evolutionary Revolution, Changing, a recipient of the PEN Beyond Margins Award, and Parabola, winner of the 2006 Chiasmus Press Un-Doing the Novel Contest. She serves as Prose Editor for Puerto del Sol and Associate Editor for Starcherone Books. She teaches in the MFA program at New Mexico State University. Hoang is the author of Unfinished. Three years after the publication of Unfinished, Hoang acquired Jaded Ibis Press from Debra Bi Blasi along with three other co-owners: Elizabeth Earley, Natashia Deon, and Zoe Ruiz. Learn more about the team here.